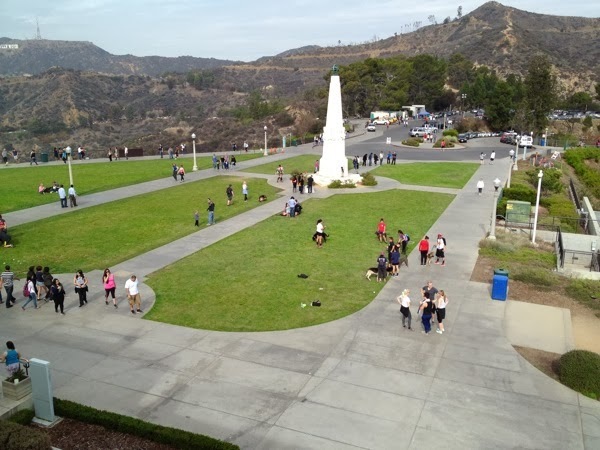 Earlier this week, several of your faithful bloggers attended a small meeting at perhaps our new favorite venue: the Griffith Observatory perched atop the hills overlooking Los Angeles. 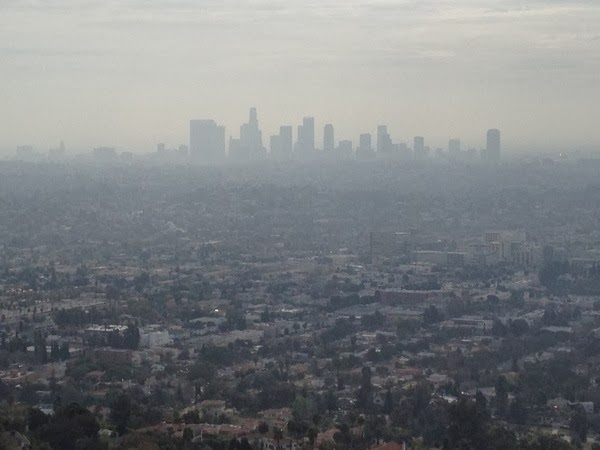 Griffith Observatory takes its name from its founder, the wealthy 19th century mining expert Griffith J. Griffith (I'm not sure if it's named after his first or last name!). 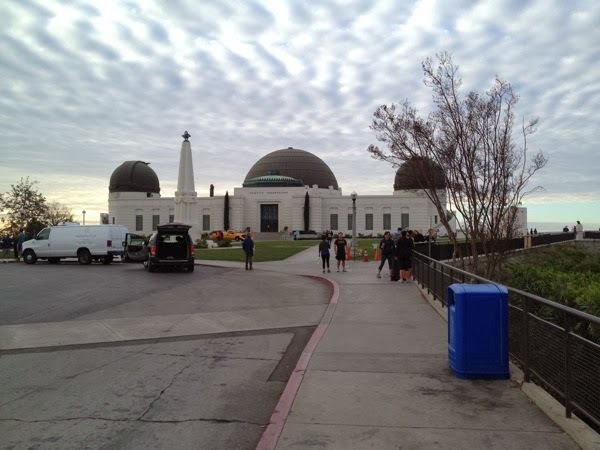 Despite generously donating the observatory and surrounding land to the City of Los Angeles in the early 1900's, Griffith was far from a perfect man. "Man's sense of values ought to be revised. If all mankind could look through that telescope, it would change the world!" After this experience, Griffith set out to make an observatory widely available for public use and donated the land and money necessary to the city of Los Angeles. 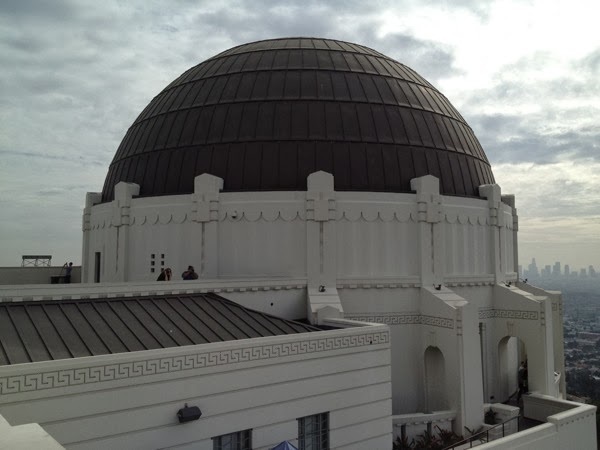 The observatory was finally built in 1935, 26 years after Griffith's death. 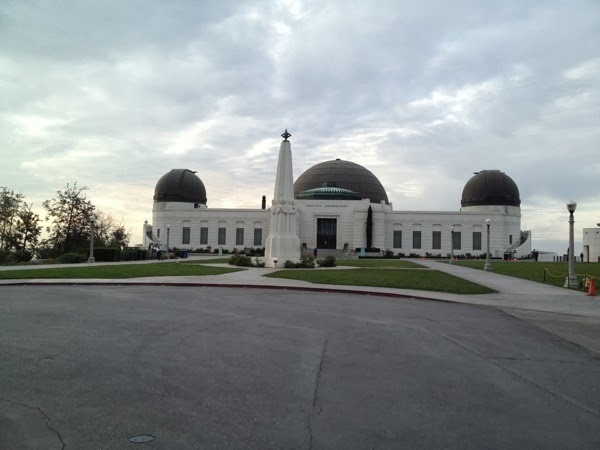 Today, the Griffith Observatory's exhibits, planetarium shows, and telescopes serve over a million visitors annually, and it houses the most widely (directly) used telescope in the world. Here's a few snapshots we took during our visit this weekend. A view of the observatory shortly after sunrise. 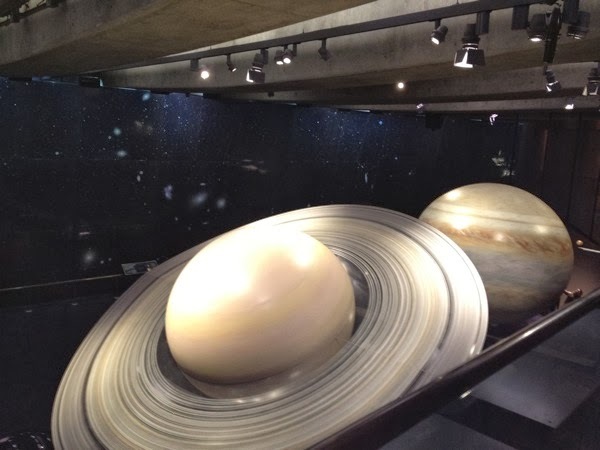 Saturn and Jupiter sit inside an exhibit at the observatory. 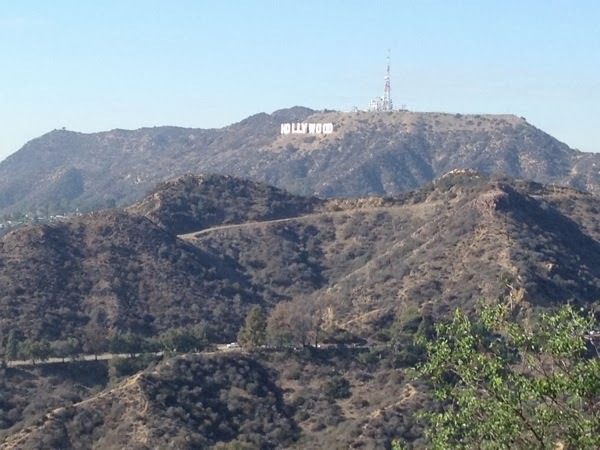 A view of the Hollywood sign from the Observatory grounds. 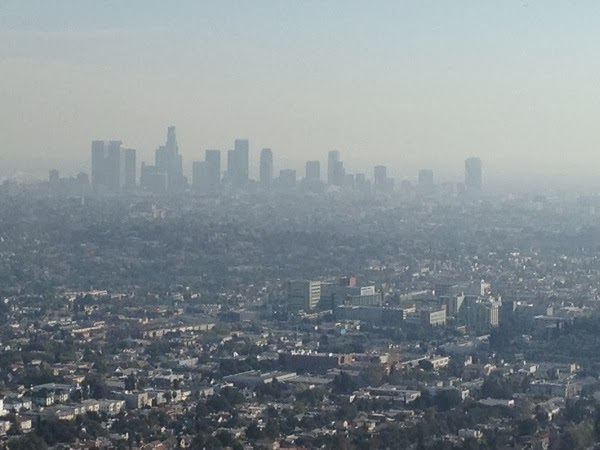 The slightly smoggy LA skyline view from the observatory. 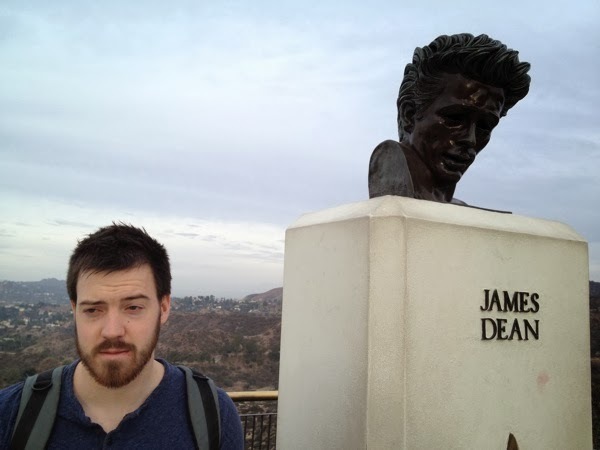 I tried my best James Dean impression near his statue. 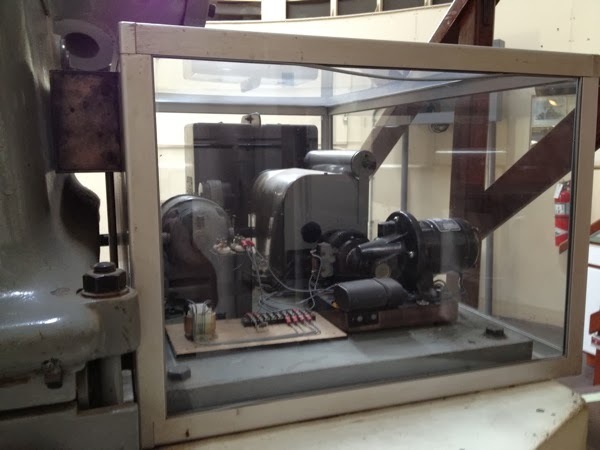 This part of the observatory served as the setting for a famous scene in "Rebel Without a Cause," starring James Dean. 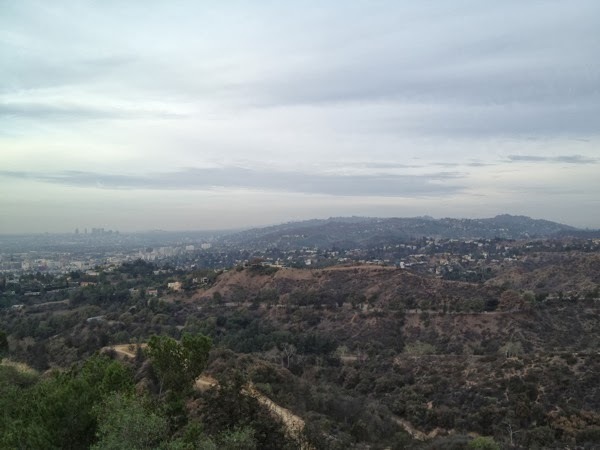 A view of the surrounding Hollywood hills. 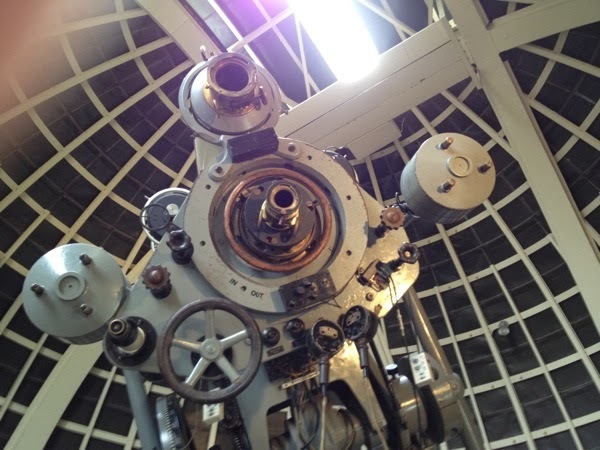 One of the Coelostat Telescopes used for solar observing. 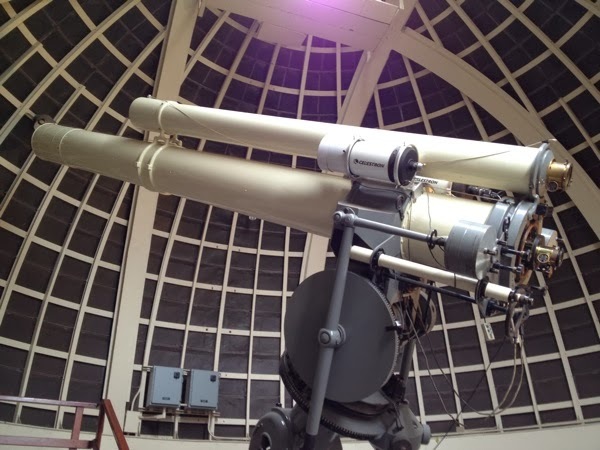 Another view of the Coelostat telescope. One of the mirrors (and a camera) used for the telescope. Three different telescope track the sun, and a set of mirrors focus the light from these three sources. 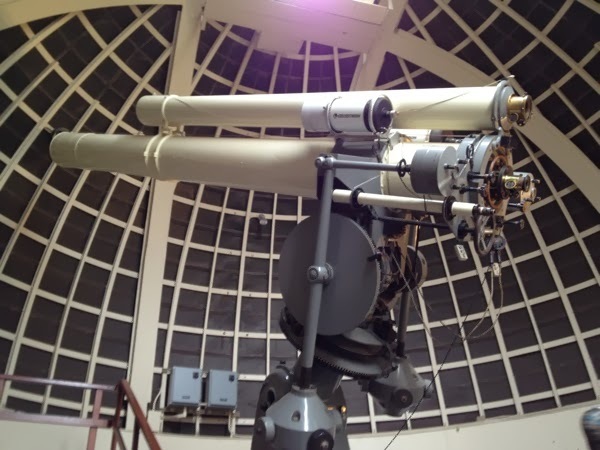 The public can see the images in an exhibit housed in the rotunda under the Coelostat. The dome housing the observatory's planetarium (I believe). 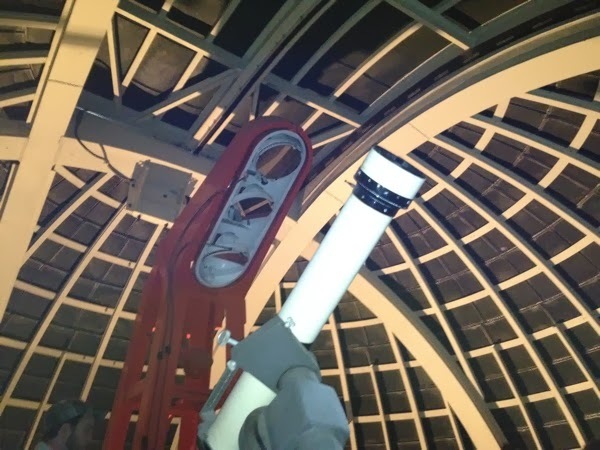 The Zeiss telescope that the public can directly look through every night of the week except Mondays. 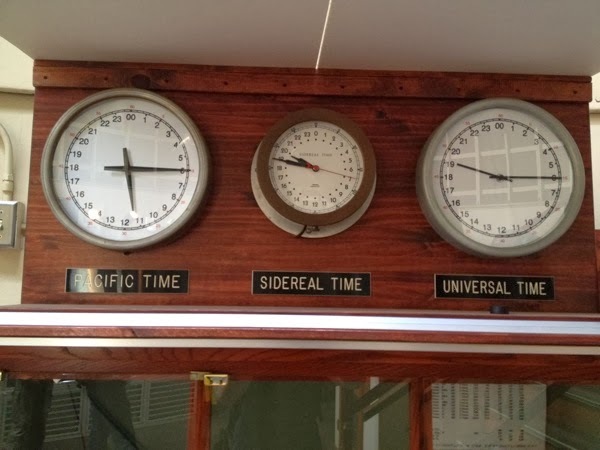 Astronomers use sidereal time (seen in the middle), to keep track of their observations. A sidereal day lasts about 4 minutes less than 24 hours to account for the actual amount of time it takes for the Earth to complete one rotation. Another view of the Zeiss telescope. 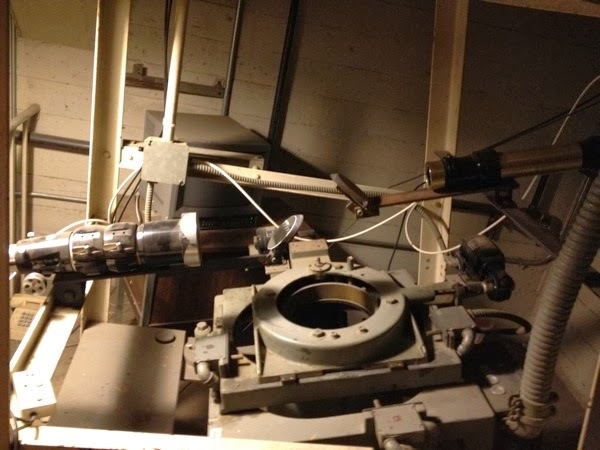 Some of the inner workings for the Zeiss telescope. 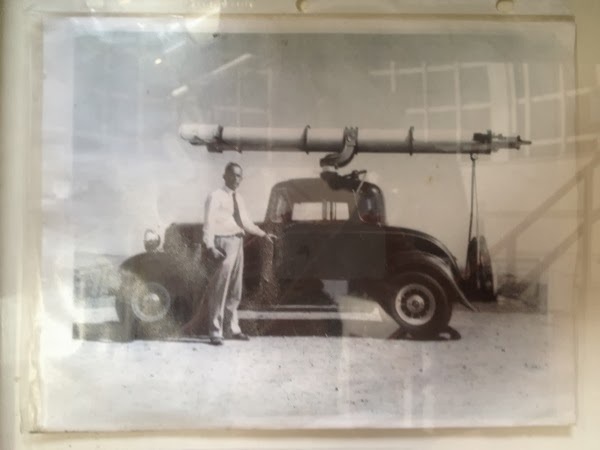 We found this picture inside the room housing the Zeiss telescope. I think that may be one of the smaller telescopes housed at the observatory. The eyepiece and dials for the Zeiss telescope. 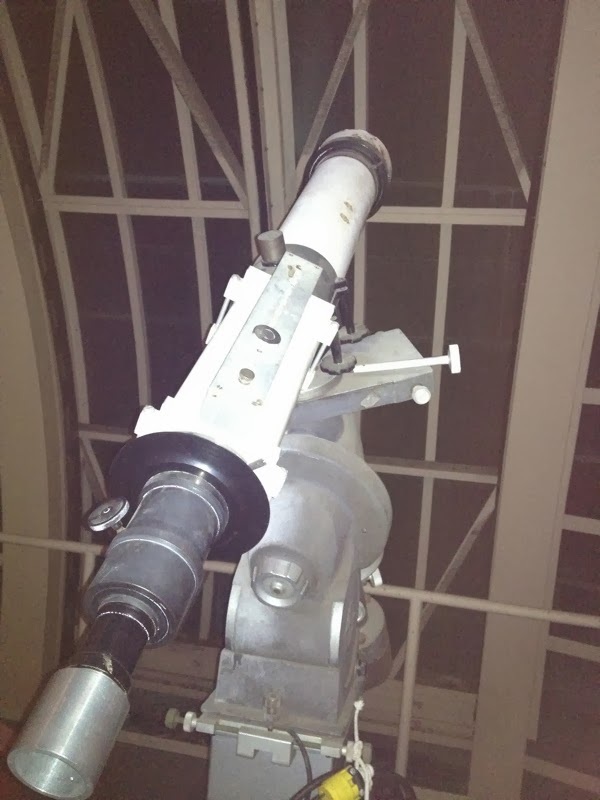 No other telescope has had as many users as this one. A view of the observatory's grounds. Another day, another smoggy skyline.